Rittal has updated the DET-AC III product family, comprising the DET-AC III Master fire alarm and extinguisher system, the complementary DET-AC III Slave unit and the EFD III early fire detection solution. All three are available in the form of 19’’ slide-in racks. Significant enhancements have been made to the DET-AC III Master. The system now features a CAN bus interface for direct integration with the Rittal CMC (Computer Multi Control) III monitoring solution. This provides administrators with much more detailed information on the status of installations and incoming alerts. A new USB interface greatly simplifies service and maintenance of the DET-AC III. This allows service technicians to view information on operational status and events, modify configurations, reset service intervals, or install new firmware from a laptop, without opening the enclosure. 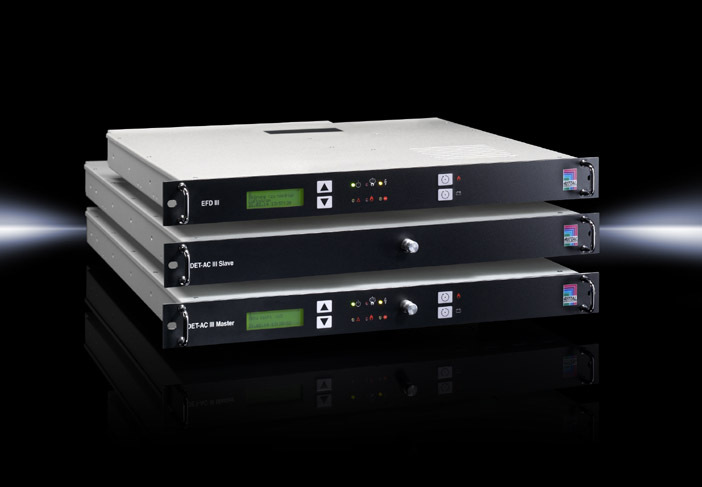 Taking up one U in a 19’’ rack featuring a two-stage smoke extraction system, two highly sensitive optical sensors detect even the smallest smoke particles at very early stages and can sound an alarm from 0.25 per cent obscuration per meter. If the first sensor detects smoke aerosols, a pre-alarm is issued. If the second sensor also detects smoke, the main alarm is triggered and the extinguisher is activated. Using the 3M NOVEC™ 1230 fire suppression solution, the system was the first in its class to successfully pass comprehensive VdS testing. It is environmentally friendly, does not conduct electricity and does not damage IT equipment. All systems are available for immediate shipment and replace previous versions. Connecting UK manufacturing SMEs with major international customers. The British Summer strikes again! 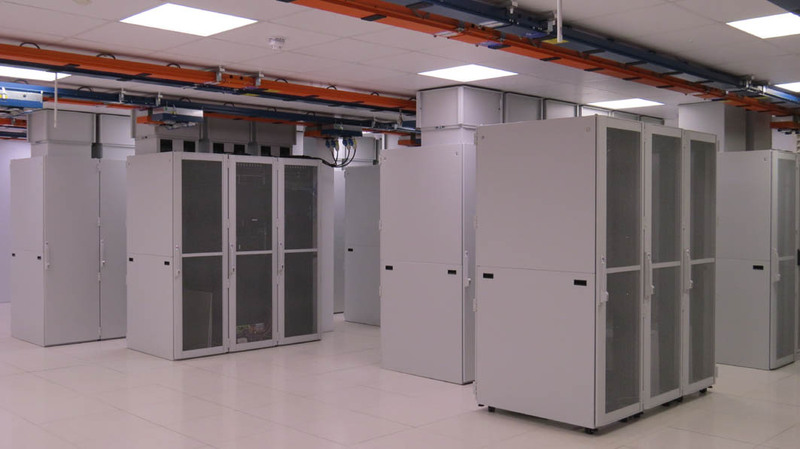 Rittal have recently provided high quality TS IT server racks, with a customised chimney venting solution, for data centre provider Datum who required cost effective cooling technology when developing their flagship Farnborough facility. After research Rittal’s roof mounted chimney module, a one piece duct assembly on top of the TS IT enclosure for airflow management, was found to work perfectly with the patented ecofris cooling solution from Keysource. A reliable passive system requiring no fans or electrical connections, the chimney module permits the hot and cold air to be separated efficiently, eliminating the hot aisle, as the exhausted heat is contained within the chimney system. Utilising Rittal chimney modules allowed the cooling system in the room to work to its’ full potential, delivering a PUE of 1.2 or less, achievable even with a partial load. Dominic Phillips, MD of Datum said “The result is a complete alignment of our energy efficient goals with those of our clients delivering a reduced carbon footprint and cost”. ▶ The complete 2014 rittal value chain from engineering to manufacturing Eplan Cideon Rittal Kiesling – YouTube. Consisting of products, engineering tools and customer support, ‘Rittal – The System’ is completed with Rittal International Service. A total of 64 subsidiaries, more than 150 service partners and over 1,000 service technicians guarantee a local service and fast response times. Select from a wide-range of available service packages, including Basic, Comfort, Advanced, Full and Customised. The packages offer various options for availability of Rittal support, response time, spare parts availability, maintenenace visits and extended warranty. for 24 hour international assistance. Breaking: Government green lights giant East Anglia One offshore wind farm – 17 Jun 2014 – News from BusinessGreen. 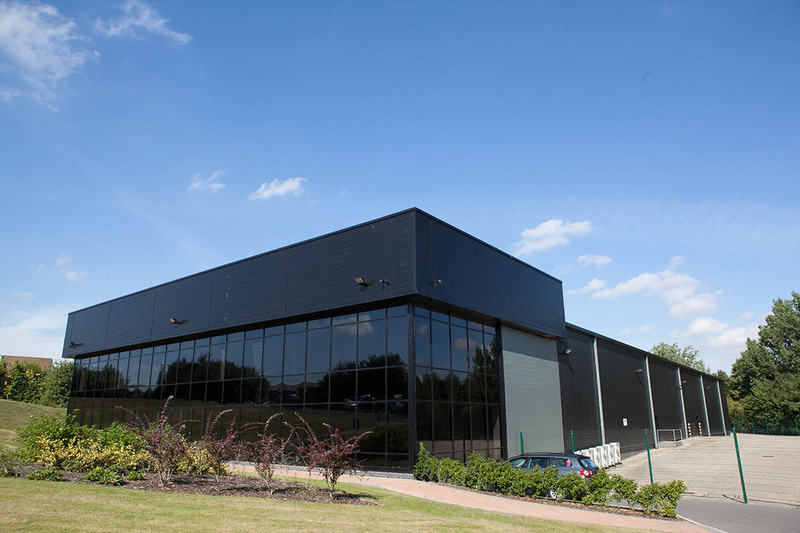 Utilising the latest in energy efficient cooling technonology from Rittal has dramatically lowered PUE at Node4’s latest datacentre at Northampton. Space for future growth, using the latetst in energy efficient technology, is key to the long term strategy for the site. Working closely with Rittal, Node4 were able to maximise IT floor space using CoolWall technlogy, Cold Aisle Containment and Rittal’s TS IT racks, along with managed Power Distribution Units. CoolWall was selected over traditional CRAC based cooling as the larger coils increased capacity of cooling whilst driving down running costs at elevated temperatures. Designed to dramatically reduce PUE and improve the overall efficiency of the data centre, the system offered a further benefit of separate fans for ease of maintenance. Rik Williams of Node4 said “Working in partnership with Rittal we were able to utilise their technical expertise and speed of supply to deliver the most cost effective solution”. It is widely acknowledged that the Advanced Manufacturing and Engineering sector is fundamental to the continued economic growth of the region. As the flagship event for the region, EAME is key for the sector in creating market opportunities and advising businesses on how to grow and innovate for the future. 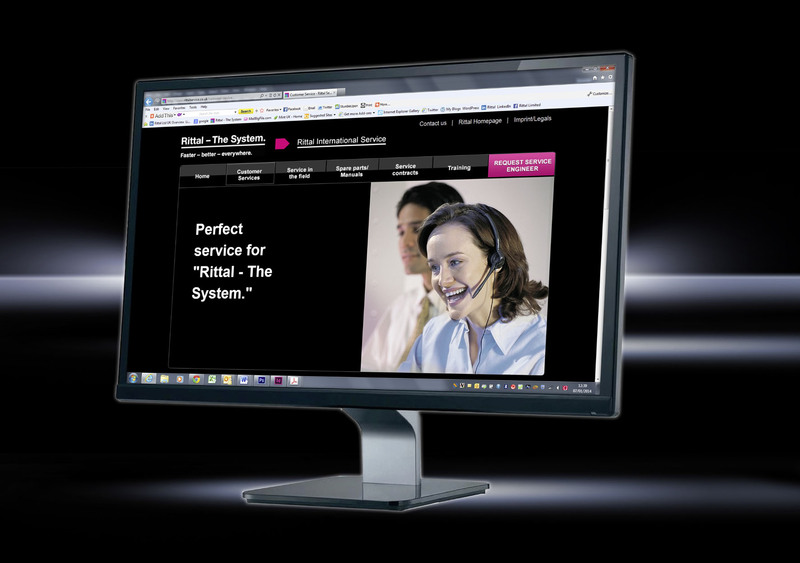 in ergonomics and handling, and the ability to offer to Rittal’s partners and customers solutions that are precisely tailored to their individual needs – these are Rittal’s winning strengths. Come along to see for yourself and speak to the product experts to understand what ‘Rittal – The System’ will mean for you. Design software for control panels! Read-out Instrumentation Signpost: Design software for control panels!.